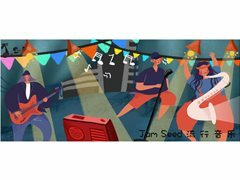 Welcome to Jam Seed, your Modern Music school in China! join us and enjoy a new and friendly music-lovers team while discovering China! 3. 1 year contract (exclusivity with the school). 4. Max. working time: 40 hours a week. 5. All the Chinese national holidays (paid). 6. Round trip flight ticket after one year. 7. Working visa provided, all the visa and residence documents done in Chongqing paid by us. 8. Health insurance provided by the company. 10. An assistant-translator during your classes if you don't speak Chinese. 11. Personal assistance for the daily tasks and your new life in China. 1. Major in music or performance arts who can teach Group Vocal/Group dancing/musical performance. 3. Experience teaching kids preferred. 4. Ability to play at least one instrument preferred. 6. Communication skills in English.